You’ve probably had a pretty hard time not reading or hearing or seeing anything about the new Stephen Malkmus & The Jicks record. I mean, they streamed it on NPR all last week and they were on KCRW this morning and they’ve been all over the blaga-blags and you were probably thinking, “Maybe I could seek refuge at the Nashville’s Dead. 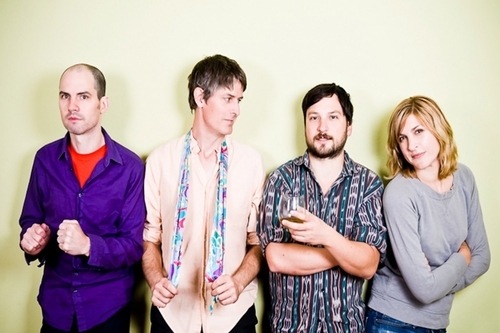 Maybe they wouldn’t bombard me with more Malkmus.” You’re wrong. The Jicks lastest Matador release, Mirror Traffic, came out yesterday and it’s pretty solid. The Beck-produced album supplies more of the Malkmusian stylings you’re accustomed to and then some. Matador is also slated to release a pretty limited 7″ for the album’s single “Senator” which you can hear below. It’s also looking like Stevezie and co. will be rolling through Nashville early this October at Mercy Lounge [Oct. 4] you can go ahead and snag tickets now. We’ll be there trying to convince him to play Discretion Grove. He won’t. Snag the 2xLP version of Mirror Traffic here.